Today, we help create dream spaces to accommodate and improve our customers’ lifestyles. Our story begins with the man behind the name, who founded DSC DesignWorks some 20 plus years ago; Dale S. Crittenden. Starting with a simple passion – home design, architecture, and interior spaces, Dale built upon his knowledge and expertise, to later start the business that would support his passion for structures and their beautification. Since the founding of DSC DesignWorks in 1993, and with years of experience under our (tool) belts, we have put together a team of craftsman spanning all spectrums of home improvement and building. Our passion is to design and create unique homes and spaces; pure and simple. Moving into our 21st year, we are proud to have been a part of inspired, imaginative, and practical designs, all for one-of—a-kind homes (and people) in the Paciﬁc Northwest. We love what we do. When working on your project, we listen, collaborate, and value your time and ours. We are committed to taking your vision to the next level and providing it the foundation and care it needs to become an actuality. We weave your ideas with our knowledge and craftsmanship to create home improvements that inspire you. Our aim is to surpass your expectations while keeping the process unobtrusive and straightforward. 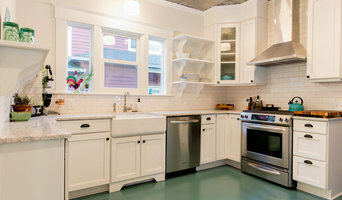 DESIGN - BUILD - REMODEL for the greater Portland area. What's Your Vision? Whether you’re looking to update your home or build from scratch, we’ve got you covered. A successful project starts with us getting to know your ideas and needs. How do you want your space to look, feel, function? What is driving the desired change? Share your thoughts and vision, so we can help you get there. As an FIR qualified contractor with the City of Portland, we can start your project sooner without the long wait for permits! Contact us to get a begin a new project today! Owner Jeff Lightfoot is known to have a strong architectural vision and a desire to create stunning outcomes for his clients while focusing on timelines, budget and the ultimate goal of exceeding expectations. Jeff founded Advantage Services Construction in 1978, he is an On-Site Master Craftsman who professionally manages your job; ensuring peace of mind from start to finish. (It’s the Details) Jeff is a passionate professional who provides quality craftsmanship, vast experience and remarkable customer service that Advantage Services is recognized for – recently honored with Earth Advantage Green Home Builder of the Year 2014 and Best of Houzz 2015, 2016 & 2017 - Client Satisfaction. Create yourself the kind of home interior that you’ve always been dreaming of. Get it at a very affordable price from us here in Simple Floors. We offer the best interior furnishing solutions like hardwood and bamboo flooring products as well as floor lamination services that will surely uplift the overall look of your home. Simple Floors Portland handles thousands of wood and bamboo flooring, carpeting, tile, luxury vinyl tile and counter top styles right here in our NW Portland Showroom location. Our special factory direct relationships result in the best Vancouver and Portland hardwood flooring prices that consists of thousands of wood floor selections. We have large wood flooring sample boards of more than 3,000 flooring options, making them too numerous to list all on a single page. We realize that picking your hardwood flooring can be challenging, and we are here to help. Though following are just a few of the thousands of wood floor styles, colors and selections we offer our Oregon, Vancouver and Portland customers, feel free to connect with us to schedule a consultation in our NW Portland showroom and home design center to pick out the right floor for you, at the best flooring prices in Portland, Oregon. Oscar Tile LLC specializes in installing art in every inch of your house. Contact us for your next project! Greener Concepts is dedicated to offering the highest quality remodeling, greener options and sensible pricing. 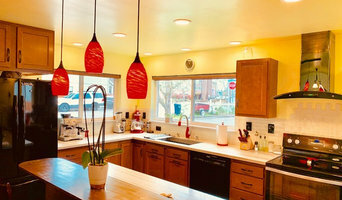 We specialize in custom full kitchen/bath remodels, custom new construction homes, and offer additions, restorations, and custom specialty projects. The contractors we hire are local, well screened professionals that have proven to be trustworthy, reliable, and conscious about the environment. We constantly work on improving our customer service to ensure our customers are comfortable before, during and after their project. Alex Freddi Construction is a family-owned company, operating in the greater Portland area, and specializing in residential remodeling and additions. Our work includes full or partial kitchen and bathroom remodels, decks, fences, basements, flooring, tiling, painting, saunas, and everything in between. We provide free design and layout ideas. Over the years we have built our reputation on quality, craftsmanship, honesty, and professionalism. We believe that communication and planning are key factors to a successful remodel. We work closely with families to complete their projects in a timely manner, efficiently, on budget, and maintaining a clean and safe work environment at all times. The work is performed by our employees and by our subs. We will give you a reference list, suppliers list in the Portland area, and access to photos of some of previous work with every free estimate. We are in the business of earning your trust! At Devine Bath we understand that how you get there is just as important as what you end up with. That's why our certified team will assist you every step of the way — from design and product selection, to planning your schedule, to delivering and installing your bath. 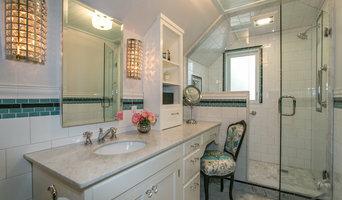 We believe that you deserve the bathroom of your dreams, completed on time and within budget. Achieved without worry, set backs, or endless trips to showrooms and hardware stores. Let us partner with you to make your dreams a reality. Our local team of designers and installers are proud to serve our neighbors in the Portland Metro area and surrounding suburbs. Let us bring the showroom to your home in Portland, Hillsboro, Beaverton, Tigard, Lake Oswego, West Linn, Happy Valley, Oregon City, Sherwood, Clackamas, Wilsonville, Tualatin, Gresham, Troutdale, Vancouver, Camas, Damascus, Milwaukie, Gladstone, Canby and beyond. Let’s get started on creating your dream bathroom. Schedule your appointment online at <a rel="nofollow" target="_blank" href="http://www.devinebath.com/">http://www.devinebath.com/</a> or by giving us a call at 1-888-473-6616. AAI is a full service design and remodeling company. 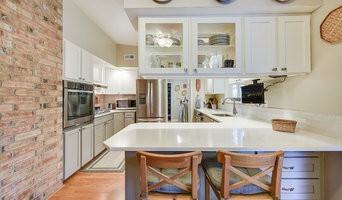 We specialize in residential kitchens and bathrooms.